Clifton Rd. & E. Clifton Rd. 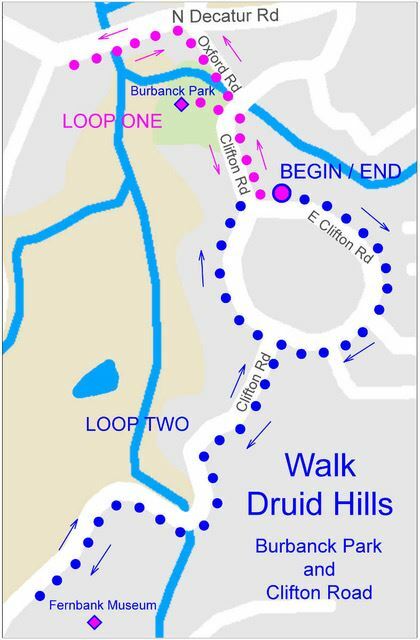 Please join us August 12 as we celebrate the first anniversary of Walk Druid Hills with a walk in the heart of our historic neighborhood. The walk will include Burbanck Park, Emory Village and the neighborhood along Clifton and East Clifton Roads. We will meet at the north intersection of Clifton Rd. and E. Clifton Rd. Park along E. Clifton Rd. The walk is approximately three miles and will include uneven pavement and paths.